Chapped and dry lips gets a little interesting this summer with the Coca Cola Lip Smacker set, let's find out if it's hydrating and tasty as it looks..
Thirst Quenching Lip Balm ? 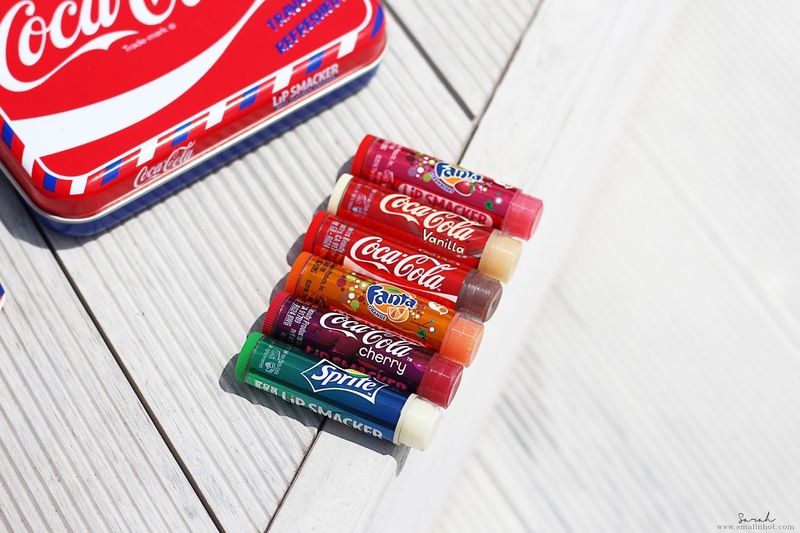 Quench your thirst with a Coke, Fanta & Sprite lip balms ! The dome-shaped lip balm delivers the authentic taste of your favourite sodas while providing extended hydration to your lips. Flavours include : Coca-Cola, Coca-Cola Vanilla, Coca-Cola Cherry, Fanta Orange, Fanta Strawberry & Sprite. You'll LIKE it for the thirst quenching fizzy soda feeling on your lips whenever you apply. You'll HATE it because the pigmentation is very limited. Now if I am being truly honest there is definitely no difference in terms of their color. It may be colorful and all on the tube but trust me it's pigmentation is very limited. Hence the missing of any swatches images in this review. The only thing that probably distinguishes one to another is the scent and flavour, else you seriously can't tell them apart when you apply it on your lips. Flavour wise, I have to say it does actually smell and tastes like Coca-Cola. When you bite your lips together or lick your lips, you can taste the sugary Coca-Cola flavour as tho you have just sipped a glass of coke. Same goes to the Fanta and Sprite flavoured lip balms. So if you like that certain soda, you'll definitely like the respective lip balm. Now you may wonder, how does it fair for the lip hydration. Well, it provides quite an average hydration to the lips, nothing that wow-ed me. Works pretty much like any other lip balm that I have. You probably need to consistently touch up to keep your lips hydrated. 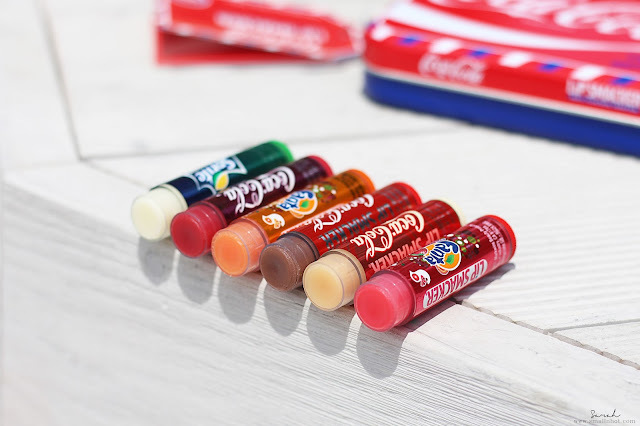 However these Coca-Cola, Fanta & Sprite infused lip balms are quite a novelty and I can see soda junkies will have their eyes on these when it's made available outside of the USA !